In her debut album; NAE SWEETS FOR SHY BAIRNS Heather holds nothing back with her fresh, feisty approach to her harp playing. The album features self-penned tunes and songs such as the dark Stalky Nightmare and rhythmic William the Conqueror as well as a gentler sound in Under The Stars which features a sound scape created from a field recording on a recent trip to Europe. Heather also honours the traditional with her arrangement of Neil Gow’s Lament for the Death of His Second Wife and her ‘harp take’ of Piobaireachd with Donald MacLeod’s Field of Gold. Also featuring percussion and guitar from Tia Files and guest vocals from producer Corrina Hewat. Harp Bazaar is everything harp! Currently run by Heather Downie and Pippa Ried-Foster, Harp Bazaar provides workshops, teaching, rental, agency, shop and much more all based around the harp. Visit Harp Bazaar for more details. Top Floor Taivers are a young and fresh Glasgow based band performing traditional and contemporary Scottish songs and tunes. Coming from Scotland, England and Ireland , Top Floor Taivers combine stunning vocals with piano, fiddle and clarsach to create unique arrangements of traditional folk songs and tunes as well as their own compositions. 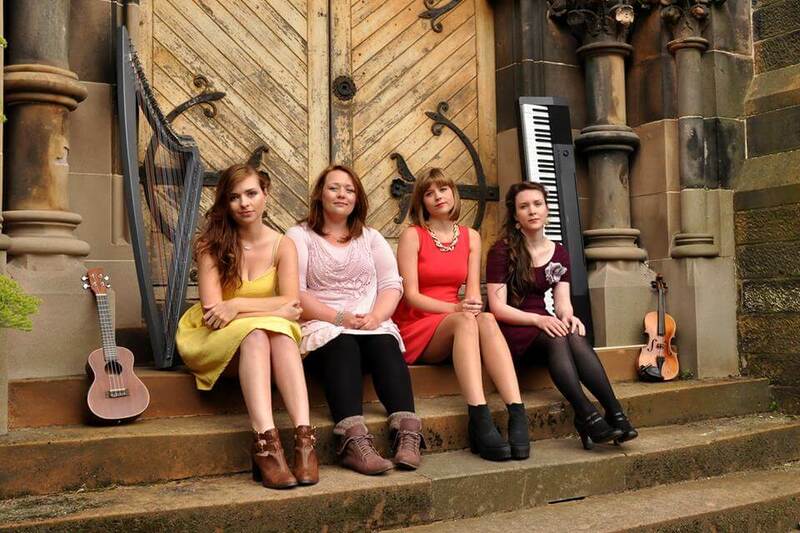 The song based four-piece collaborated whilst all living in Glasgow in 2013 and have since recorded their debut EP in 2014. A new creation by the wonderful Corrina Hewat to mark the 30th anniversary of the Edinburgh International Harp Festival. The piece is inspired by a tale of the Oak and Ivy in the forest, one supporting the other. Other harp players involved are Wendy Stewart, Mary MacMaster, Bill Taylor, Tristan Le Govic, myself and of course Corrina Hewat the composer.